Larry Cash, the long-time chief financial officer at Community Health Systems, is retiring in May, the hospital chain announced Wednesday. Cash has served as the right-hand executive of CEO Wayne Smith for 20 years. Thomas Aaron, who currently is vice president of finance at CHS, will succeed him. Aaron joined CHS in November after a 32-year career at Deloitte & Touche. Upon retiring — scheduled during the company's scheduled annual shareholder meeting — Cash will become a consultant to CHS and advise company management on healthcare finance, management and operations, the company said. Known for his straight talk and gravelly voice, Cash faced a huge career challenge in 2016 when CHS was forced to undergo a turnaround plan that including selling assets to reduce a crushing $15 billion debt load. He has been in the middle of several divestitures since mid-year, including agreements to sell 25 hospitals and the spinoff of 38 rural hospitals into Quorum Health last summer. Through an aggressive divestiture strategy, CHS has reduced its debt since the start of 2016 from $16.6 billion to $14.8 billion. The 25 hospitals being readied for sale are expected to produce net proceeds of another $1.5 billion that will be used to pay down debt. 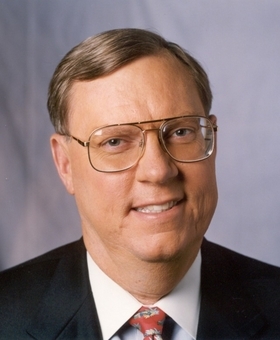 Prior to joining CHS, Cash served as vice president and group chief financial officer of Columbia/HCA Healthcare from September 1996 to August 1997. Cash also spent 23 years at Humana Inc., most recently as senior vice president of finance and operations from 1993 to 1996. Cash is the second senior executive to depart CHS since its turnaround began. In September, Tim Hingtgen succeeded David Miller as president and COO after Miller retired following a 20-year career with CHS. Miller continues to serve in a consultant capacity with the hospital chain, which is the nation's second-largest investor-owned hospital company. After it sells 25 hospitals, Franklin, Tenn.-based CHS will own 133 in 22 states.